CSAC advises the chancellor and Chancellor's Leadership Council on sustainability issues and helps coordinate sustainability efforts at UMass Amherst. 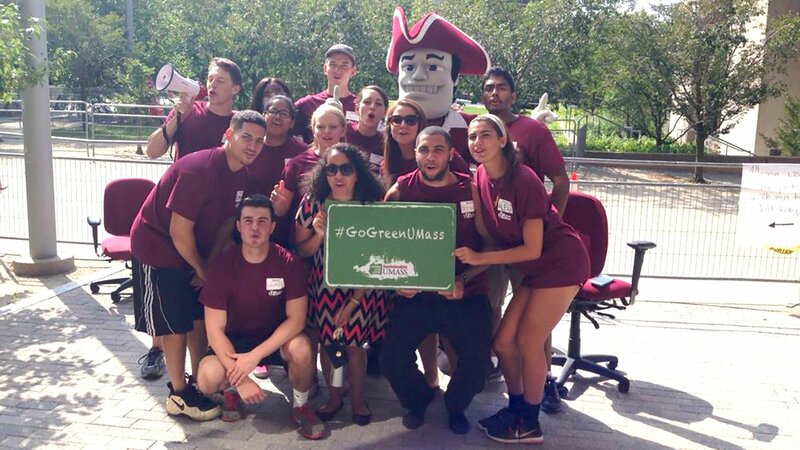 Campus Planning supports the mission and strategic initiatives of the University of Massachusetts by informing and guiding the development of an effective and creative campus fabric. ​ScholarWorks hosts a variety of sustainability-related research and reports from students, faculty, and staff. UMass Amherst Libraries are engaged in fostering sustainability innovations; collaborations with campus partners; educating students to create a healthier, just, and responsible world; supporting the integration of sustainability across the curriculum; modeling green practices; honoring diversity and inclusion; and promoting open access. The UMass Amherst Bike Share program provides free bicycles to students, faculty, and staff.